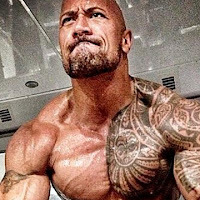 WWE is reportedly trying to get Dwayne "The Rock" Johnson to appear at the upcoming SmackDown 1000 show on October 16th in Washington D.C., according to Dave Meltzer in the latest issue of The Wrestling Observer Newsletter. SmackDown is named after The Rock's catchphrase and when it first started, The Rock would refer to it as "his show." It will be interesting to see if he can make it as we reported earlier that The Rock is in London to film for the Hobbs & Shaw Fast spin-off movie with Jason Statham. The movie is scheduled to be released on July 26, 2019. As reported earlier, an Evolution reunion with Batista, Triple H, Randy Orton and WWE Hall of Famer Ric Flair has also been confirmed for the show. The Undertaker, Michelle McCool, Torrie Wilson, Vickie Guerrero and WWE Hall of Famer Teddy Long are also scheduled to appear. PWInsider had reported that Rey Mysterio is also set to return to the company under his new two-year deal at the event, while WWE Hall of Famer Edge is expected to appear. Daniel Bryan & WWE Champion AJ Styles vs. The Miz & Samoa Joe plus Asuka, Naomi & Charlotte Flair vs. The IIconics & SmackDown Women's Champion Becky Lynch are being advertised by the arena as the show's double main event.